Keith Hinton is a songwriter of #1 hits for Toby Keith, LeAnn Rimes, and Billy Ray Cyrus. 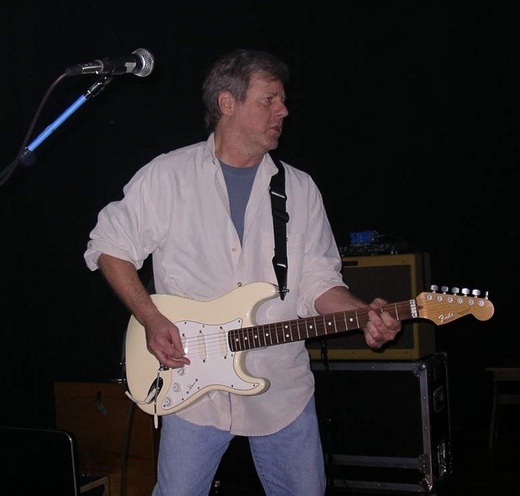 A 20 year veteran of Nashville’s “Music Row”, he has played guitar on numerous recording sessions and has catalogs of his songs at Warner Chappell Music, Universal Music, and Sony/EMI Music. He currently creates his unique blend of Rock, Country, and Folk music at his own Frontier Studio on the edge of Music City. Reached 45th in Best of Country chart in 2014. In the top 100 for 9 weeks. Reached 70th in Best of Country chart in 2013. In the top 100 for 4 weeks. Reached 48th in Best of Rock chart in 2011. In the top 100 for 4 weeks. Reached 80th in Best of Country chart in 2011. In the top 100 for 3 weeks. Reached 36th in Best of Rock chart in 2011. In the top 100 for 10 weeks. 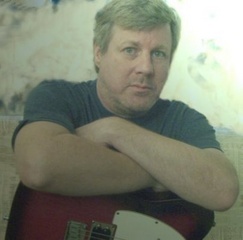 Keith Hinton arrived in Nashville, Tennessee, in 1984, as a staff writer for the Pride Music Group. From there he was signed as a staff writer by Russ Zavitson to Harold Shedd’s Sheddhouse Music at Music Row’s legendary Music Mill. He was hired to help organize Billy Ray Cyrus’ studio band and play guitar for Billy Ray’s debut record, “Some Gave All”, contributing the “Achy Breaky Heart” guitar riffs which helped to sell some 13 million records. Soon after, a song penned by Keith and Jimmy Stewart, “A Little Less Talk (and a Lot More Action), became Toby Keith’s second number one song and a staple to close his live shows. The song won an ASCAP “Most Popular Song” Award and has become one of the most requested and programmed recurrent songs in country music, with some 5 million airplays to date. It was featured on a Toby Keith Super Bowl Party with Toby Keith, Willie Nelson, Steven Tyler and Joe Perry, Sammy Hagar, Ted Nugent, and others jamming on an extended version of the song. In 1992, Keith signed on at Warner Chappell Music, where he wrote “In the Heart of a Woman” with Brett Cartwright. This song became the first single on Billy Ray Cyrus’ second album “It Won’t Be the Last” and his second Number one song. Keith played acoustic and electric guitars on the song, and contributed the acoustic and much of the electric guitars on the rest of this and the following album, “Storm in the Heartland”. While at Warner Chappell, the song “Girl Thang”, written by Keith, Judy Rodman, and Michele Laybourn, was recorded as a duet by Tammy Wynette and Wynona. It appeared on Tammy’s last record. In 1996, a song written by Keith and Judy Rodman, “One Way Ticket (Because I Can)” became LeAnn Rimes’ first Number one song. It won an ASCAP “Most Popular Song” Award and helped to propel her debut album, “Blue”, to seven plus million in sales, and set the standard for the new, young crop of female artists in Nashville. This song has since become a classic recurrent, according to BMI, and continues to be one of country radio’s most requested songs. It is also featured in the 1996 Christmas movie that LeAnn starred in. During his tenure as a Music Row staff writer, Keith wrote songs in many different styles, in and out of mainstream country genres. This CD features a sample of previously uncut songs from his 20 year career. Recorded at his Frontier Studio on the edge of Nashville, these grooves are both unique and interconnected. Currently, Keith is building a new catalog of songs for his “Sure Feel Music” publishing company and is working with some old friends and some new talent as writer/producer/player.